Following his guilty plea to federal bribery charges, Rio Grande City Municipal Judge Leo Lopez Jr. will not be allowed to remain in his position as per his contract. However, Lopez has already secured employment with the county. Lopez was hired as the programs department manager for Starr County Precinct 4, Commissioner Ruben Saenz confirmed. The precinct hired Lopez for the job, which comes with a $35,000 salary, about two weeks ago and Saenz said he did not believe Lopez’s guilty plea would affect his employment there. Rio Grande City Mayor Joel Villarreal said the city will be looking at appointing a new judge in the next several days. Villarreal emphasized that although the circumstances made Lopez ineligible to maintain his position, they were not related to his job with the city. “The federal charges and subsequent plea are in no way related to duties as municipal judge,” Villarreal said. Lopez pleaded guilty last week to one count of federal program bribery relating to the construction and rehabilitation of Weslaco’s water treatment facilities. Lopez allegedly bribed an unnamed Weslaco public official for contracts for the construction and rehabilitation of the facilities from April 2008 to December 2015. The act was a federal offense because the city of Weslaco received more than $10,000 from federal programs for this project. As part of his plea agreement, Lopez agreed to turn over approximately $2.5 million derived from proceeds of the Weslaco project. The construction of the water plant was notable from the start for its $38 million price tag. 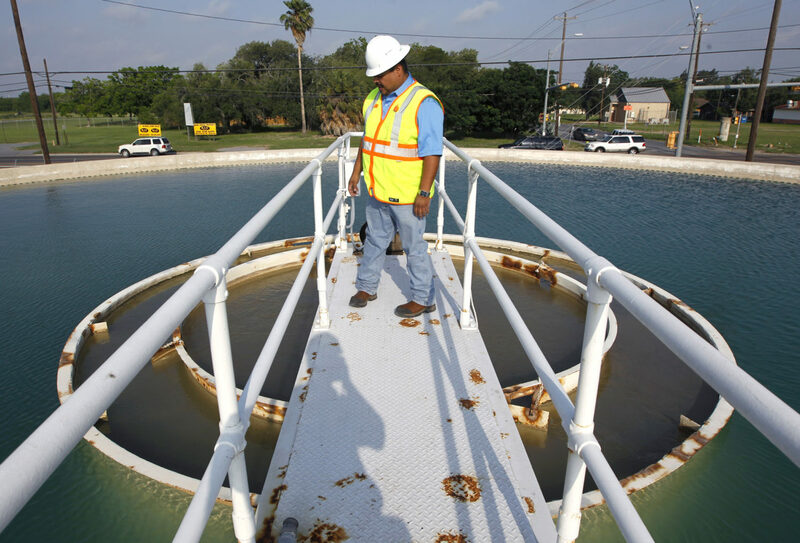 The city hired CDM Smith — a Massachusetts-based engineering and consulting firm — and San Antonio-based Briones Consulting and Engineering through a no-bid contract for the project. Rio Grande City also worked with CDM for its own water plant just a few years prior. In January 2018, Weslaco reached a settlement with Briones in a lawsuit in which the city claimed the firm was negligent, committed fraud and a breach of fiduciary duties. Briones agreed to pay the city more than $1 million.